Elmo M. Jones, 82 of Lolo passed away Thursday, March 21, 2019 at his home. He was born July 17, 1936 in Deerlodge, TN the son of Clay E. Jones and Estella M. Jones. Mo was raised in Deerlodge, TN until age 10, when he and his four siblings moved to Lovell, Wyoming. He attended school in Lovell and graduated from Lovell High School in 1954. Right out of high school Mo went to work doing Oil Exploration in Glasgow, Montana. A couple of years later, Mo was working in Cody, WY. He met his future wife, Deanna. They married on June 14, 1957. They have two sons, William “Bill” and Allen L. Jones. Mo and Deanna moved to Lolo, Montana from Spokane, Washington in 1975. They have resided in Lolo for 44 years. Mo enjoyed traveling, camping and talking about drilling. Mo played guitar, loved to ride his motorcycle. He retired from drilling around 1990 and then worked pulling boats for Gull Boats of Missoula. Mo is survived by his wife, Deanna; sons, Bill (Valerie) Jones and Allen (Kathy) Jones; grandchildren, Jessica (Mark) Weaver, Colby (Staci) Jones, Kevin (Loren), Beau, Rebecca, and Pamela; numerous great grandchildren; sister, Peggy and numerous nieces and nephews. 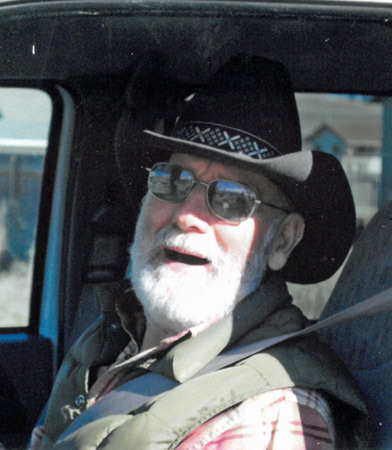 Funeral services will be held at 11:00 a.m. Friday March 29, 2019 at the Church of Jesus Christ of Latter-day Saints in Lolo, MT officiated by Larry Seipert. A reception will follow in the church cultural hall. Urn placement will take place in Cody, Wyoming. The family suggests memorials to a charity of the donor’s choice.